The year was 1931. The Great Depression was settling in for aprolonged stay while Leadville’smining district struggled to stay afloat. A few courageous local investors saw a ray of hope in the old gold mines high atop Mosquito Pass, and bet that they could make the old workings pay. 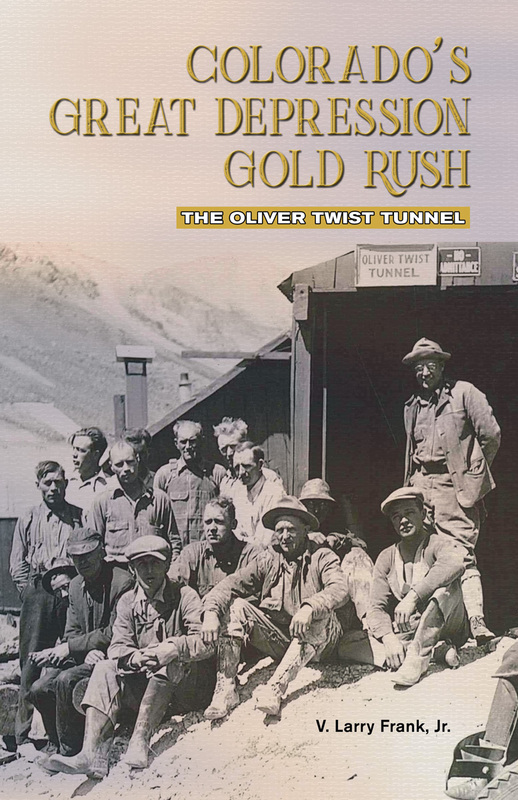 George and Robert Elder were two of those investors, and this is the story of their role in Colorado’s Great Depression gold rush. The father and son team put their savings and their sweat into the London Mountain Gold Mining Company, working devotedly to coax a bonanza from the old Oliver Twist Tunnel. They, and the men who worked for them, enduredviolence bank closures, mine accidents, and the forbiddingconditions of 13,185-foot-highMosquito Pass. Robert Elder’s original photographs bring the story of a small, hard-working mining company in the Great Depression to life.